Have any book recommendations for everyone out there? Tell us what you think about what you have read! I just finished this book, and I can’t explain to everyone just how important it is that you read this book! I not only wish you would all read it, but I wish every physician, particularly Internists, Family Practitioners, Endocrinologists, and Cardiologists in America would read it. Why? 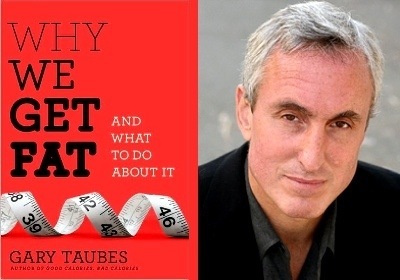 Well, Gary Taubes explains the flaws in traditional weight loss teaching that the government and nutritional establishment has been pushing for over 40 years. During that same time, our population as a whole has managed to drop it’s overall fat and calorie intake, yet increase the rate of diabetes, obesity, heart attack, and stroke! Basically, low fat, high carbohydrate diets aren’t working! !…in fact, they are killing us. Many of us have experienced the benefits of Paleo eating, but may not really understand why it works. Take the time and educate yourself as to why it works, and why carbs are truly the cause of most of society’s obesity and chronic disease problems. READ THIS BOOK! Ok everyone, time to review a cookbook. The lovely Ms. Melissa Joulwan (AKA @melicious11) has given all of us Paleo cooks a gift in the form of her book Well Fed. On top of having an amazing personal story, her proximity to kitchens while growing up has given her what it takes to put together a great set of versatile and recreatable recipes. I love ethnic quisine, from Thai to Ethiopian, and I the flavor combinations this book presents hit all the right marks. I’ve made over 10 recipes so far including the Rogan Josh and the amazing Char Siu (Chinese BBQ Pork). My 3 and 6 year old are essentially hooked on the BBQ Spare Ribs from one of our local Chinese restaurants…and they actually like these BETTER! As you all know, I take my food and my cooking serious. Eating Paleo allows the quality of the food to stand out, and you can’t “hide” bad recipes or bad ideas behind overwhelming amounts of carbs and salt. Each recipe in this book will make you think…Hmm, I want to make that! have made. My favorite part of the book is there is a picture of all recipes in the book! I am reading Primal Body Primal Mind, and it goes into a lot of the science about why we get fat,as well. It is very informative, but it isn’t the easiest read, I must admit. Wheat Belly by William Davis is a good, gentle, interesting introduction to paleo diet, with a must-read history of wheat and a thorough description of studies about diet and health that refute current grain-centric theories about nutrition with good science. Its perspective has a great deal in common with Primal Blueprint (Mark Sisson), another terrific read, both books very approachable with solid advice. Many people I know follow Whole30 diet, which has a similar paleo-style philosophy, based on It Starts with Food by Dallas and Melissa Hartwig.